Hope you are all well today....and getting ready to celebrate a New Year.....! I'm having a quiet one..just how I like it...and then tomorrow all the dec's come down...and a good spring clean..yep I'm so sad..lol...! So that's all from me today.....Sorry I haven't been much the last couple of days'...been a tad busy at work but I have a few day's off now to catch up with you all..! Hope you are all well today and are you preparing for New Years Eve?? I'm not a big lover of this...normally stay at home and have a few friends over...and then I think to myself...Oops another year older...lol...! 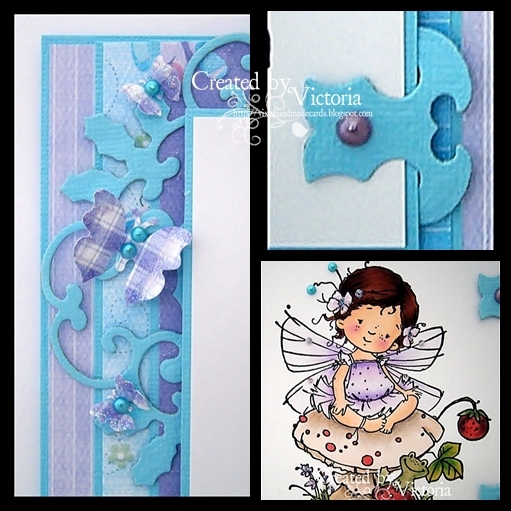 Anyway...onto my card and I have used another gorgeous Sugar Nellie stamp...and this is sweet Charlotte..and I so love her wee shoes...! I remember wearing something very similar many years ago as a teen...and they were my all time faves...gosh.. now that was a long time ago...lol...! So that's all from me today....I'm at work all day....So I will catch up with you all laters..
Hope you are all well today...I'm back to work this morning....but after Friday I'm only working one day next week...so plenty of crafty time for me then....! 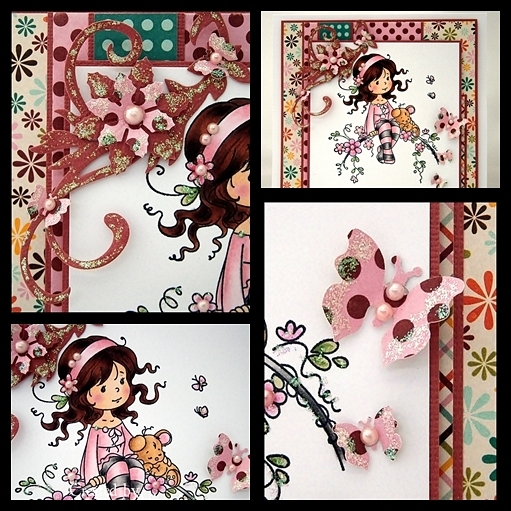 Papers ~ Nitwits "Fairytale Too"
Flower ~ Nesties "Labels D"
So I hope you likey...it made a lovely change but still took me as long as it would to colour an image...lol...! 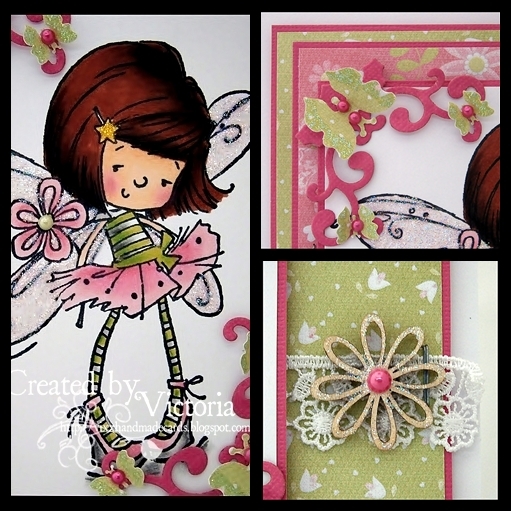 THE STAMP BASKET DT CARD ~ WEE GEORGE........! Hope you are all well today....and not eaten to many choccies...lol...! I have eaten far to much over the festive holiday's and I need to go on a serious diet in the New Year....Oops....! 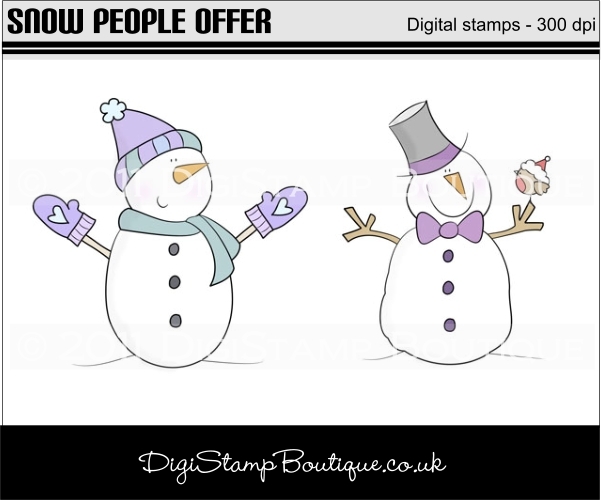 Papers ~ Nitwits "Snow Folk Too"
So do pop over to The Stamp Basket....there is a SALE still on and George is at a reduced price too...! So before I go I thought I share with you a little make my Steve has done for me.. I'm forever shaking them upside down....and I thought this would be just perfect for storing them..! So that's all from me today...hitting the sales then hopefully have a bit of a play time this afternoon..! 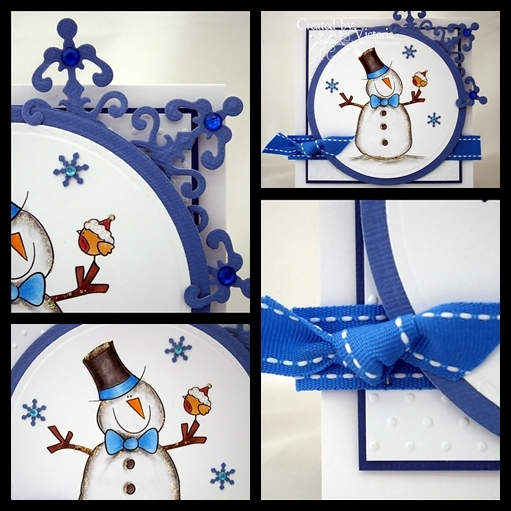 I hope you are all enjoying the festive holiday's....and got loads of new crafty stash...! My lovely Steve bought me a few items including the new X-cut heart nesties (plain & scalloped), some lovely ribbon and lace, a couple of pretty Spellbinder dies including the holly motifs (Mmmm yummy...!) and some felt...and of course some stamps....so me thinks I might be a little busy in my crafty room...lol....! Papers ~ Echo Park "A walk in the park"
So have a lovely bank holiday...and I hope you eating plenty of chocolate too...lol....! 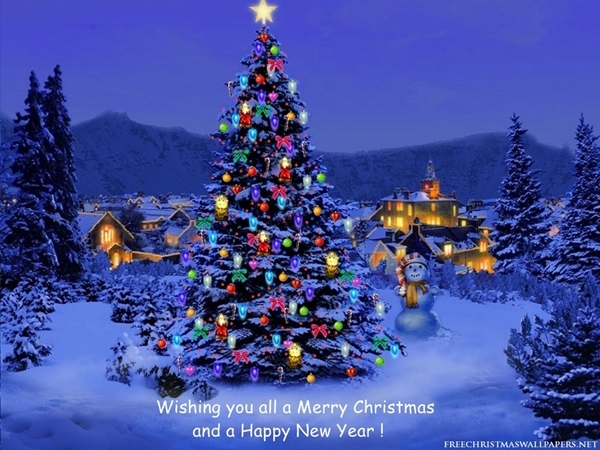 Merry Christmas to you all......! Well it's one more sleep to go before the big day....and are we all ready...lol....! I'm quiet pleased to be at work this morning...it's lovely to be away from all the mad rush and me thinks I'm already for tomorrow.....! Papers ~ Nitwits "Grin & Bear It Too"
Teresa will be opening her new Papercrafting Store called "MY CRAFTY HEART" on the Saturday 14th January....and she has asked me to be part of her DT team...! Well I thought about it for a milli second and said yeah.....! Loads of sparkly & Pearly Bits....! And Teresa has her own digi's too.....So watch this space for some sneak peeks from early January.....! My lovely teamies who will be joining me are.. So that's my fabulous news...and a perfect end to a very busy....but enjoyable year....! Thanks for popping by....and I hope you all have a lovely evening...and wow I have 600 followers too...So a big hello to you all...........! 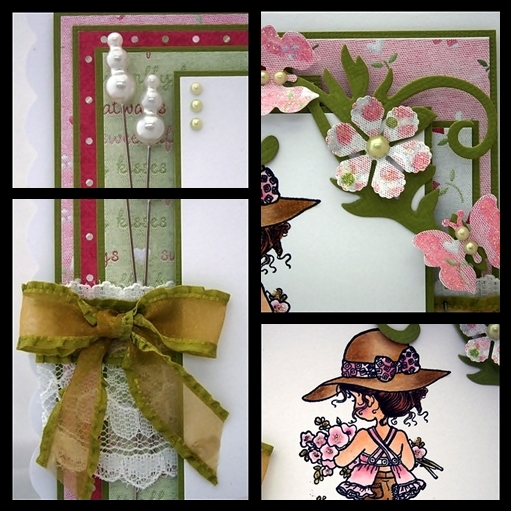 Papers ~ Nitwits "Harvest Delights Too"
So onto my card today and I have the pleasure to showcase a gorgeous image from DigiStamp Boutique. 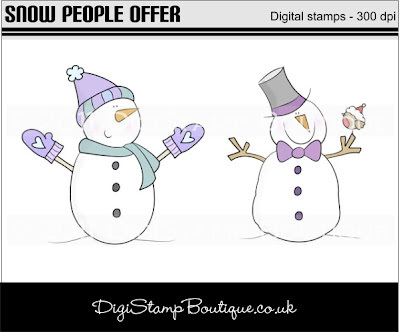 This cute Snowman is from a special offer this month..and I think it's perfect for the last minute Christmas cards we need in a hurry...Oops...! 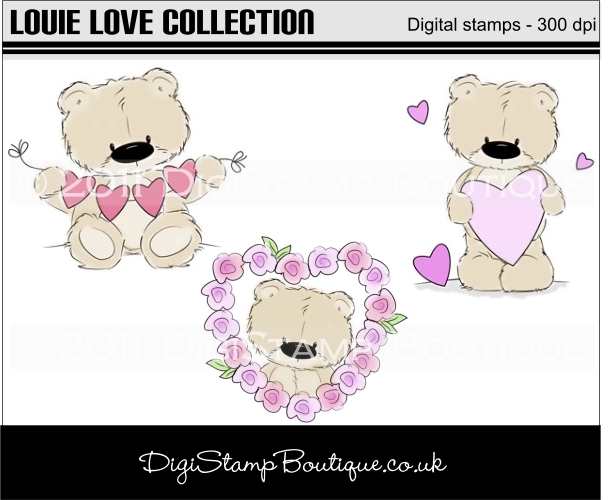 ....so perfect for those Valentine cards we will be making soon.....! Take care.....and 3 more sleeps to go...! 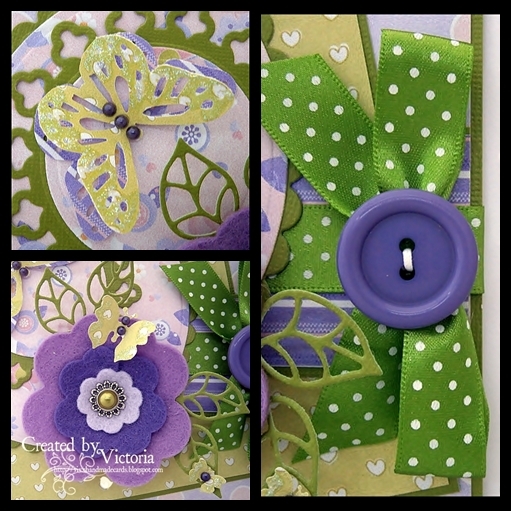 THE STAMP BASKET DT CARD ~ SPRING IS BACK.................! Well I have been up since the crack of dawn.....been to Asda's already to get the last of my bit's...just a couple of items Steve need to get on Friday when I'm at work...and that's it for another year....Phewwww...lol...! Stamp ~ Stampavie "Sarah Kay"
Lace ~ Dovecraft flat white lace 2 1/4"
So don't forget there is a SALE going on over at The Stamp Basket too...! So that's all from me today....must dash got loads to do...and fingers crossed I can get to have a wee play too....!